NEW YORK (Reuters) - Goldman Sachs Group Inc has been quietly moving thousands of jobs from pricey places like New York and London to cheaper cities like Salt Lake City in recent years, and executives said on Thursday those efforts are finally starting to show up in the bank's results. Goldman posted a profit of $2.25 billion in the fourth quarter on Thursday, as lower compensation costs helped blunt some of the impact of weaker bond trading revenue. The average pay per Goldman employee was $383,374 last year, down 4 percent from last year and less than two-thirds pre-crisis levels. Further, less of the bank's revenue is getting paid to employees: about 37 percent in 2013, down from some 38 percent in 2012 and almost half in 2008. That ratio is among the lowest in the bank's history as a public company, and it is possibly because of staff being moved, executives said. The bank added a net of 500 employees to its payroll of 32,900 in 2013, but it added many more than that to lower-cost cities and cut staffing in higher-cost cities, they said. Besides Salt Lake City, Goldman has also built staffing in cities like Dallas and Bangalore, India. "I've been covering this company for 10 years, and I can't remember the last time they were cutting compensation at this level," said Tom Jalics, a senior investment analyst at Key Private Bank, whose clients own Goldman shares. "They're really ratcheting them down." Cutting compensation costs is vital in a post-crisis world where intense regulation and less trading activity are weighing on revenue. At the same time, it also shows how Goldman employees, who have long been regarded as kings of Wall Street, may be losing power. With fewer dollars going into employees' pockets, more money goes to the bottom line. Goldman's revenue barely changed last year, meaning that if the bank had not reduced expenses, its profits would likely have been flat instead of up 6 percent for the year. "They're responding to revenue pressures in the business," said Frederick Cannon, a bank analyst at Keefe, Bruyette & Woods. "Goldman's making adjustments to ensure they remain profitable while revenues are under pressure." 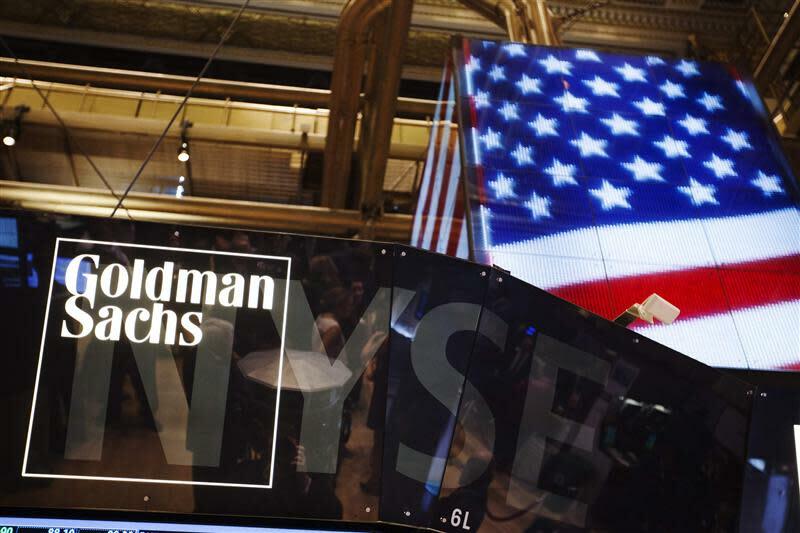 Much of the growth in Goldman's far-flung offices has been driven by new rules and penalties that are forcing banks to staff up in compliance, legal and regulatory functions. Ten years ago, Goldman had only a handful of employees in Salt Lake City. Now it has about 1,800 employees, with nine of the bank's 11 divisions represented there, in functions ranging from research and credit analysis to trade settlement and compliance. More than 30 people with global responsibilities are now based in the state capital of Utah, including a compliance team headed by Matthew Moore, a managing director who oversees regulatory audits and inquiries. A credit research team of more than 60 people who perform reviews of Goldman's counterparties is also based in Utah. HIGH VALUE OR LOW COST? The migration of jobs to lower-cost centers has created some tension between employees in New York and Salt Lake City, who get paid different amounts for similar jobs and are often culturally at odds. New hires in Salt Lake City cost 30 percent less, on average, than employees in the same roles in New York, according to a consultant who has helped grow Goldman's Utah operation but was not authorized to talk to the press. A Goldman employee fresh out of college in Salt Lake City, for example, might earn about $45,754 a year, on average, while those in New York earn about $67,334, according to jobs website Glassdoor.com. The cost of living in Salt Lake is also lower: The median home value there is $256,800, while the median home value in New York is $502,600, according to a home value index from the real estate website Zillow.com. The site's rent index shows Salt Lake City at $1,337 per month, compared with $2,128 per month in New York. One former Salt Lake City employee recalled visits from senior executives touring the office that were filled with awkward banter about skiing or the Mormon religion, and an emphasis on how important the office was because of how cheap it is. "They call us 'high value,' but what they really mean is 'low cost'," said the employee. But the bank's senior executives are pleased with how their experiment in Salt Lake City is progressing, and hopeful that they can build it up further. Some believe that the bank can do a good deal more in Utah than it had originally conceived. Goldman plans to add at least another 200 Salt Lake City employees in the near term, and is rethinking which jobs can move to places like Utah. "Salt Lake City is becoming huge," said one person familiar with the bank's thinking. Other lower-cost offices are growing too, but the rate of growth could not be learned. It is also working as an effective bogeyman to scare bankers that are early in their careers, an insider said. Late at night, when junior bankers in New York complain about the long and grueling hours, they are jokingly reminded that their job can be moved to Salt Lake City, where people will happily pick up the slack. And suddenly, the whining stops, the insider said.